Continue reading "The “Craft” in Craft Beer"
Continue reading "Homebrewing in Singapore"
A fantastic resource from MikeE's Travels - The Expats Guide to Beer in Thailand. The article summarizes local beers, imported European Beers, imported craft beers as well as places to enjoy our favorite beverage. 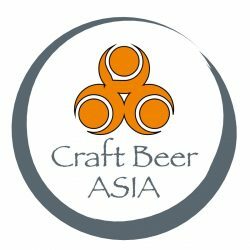 Also check out our updated Thailand Craft Beer Directory. Continue reading "Magpie Brewing Class"
Continue reading "The Great Korean Beer Festival: Media Paran is Perfecting the Beer Festival"
Continue reading "Home Brewing in Vietnam"
Continue reading "An Interview with Seoul’s Craft Beer “Pioneer” – Bill Miller"
Continue reading "Seoul’s Craft Beer Fest 2013"